Down with the Spanish courtesy flag…putting up the Portugal one. 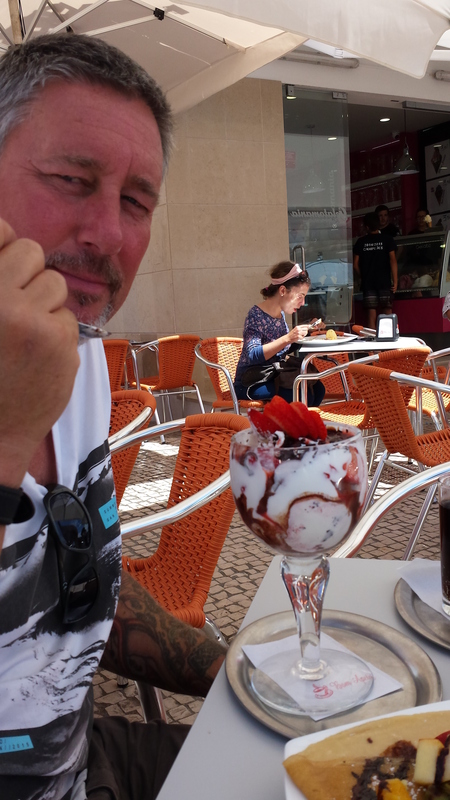 Well come the start of August after a great few weeks having the kids stay it was time to say Bye Bye for now to Spain and Ola Portugal. 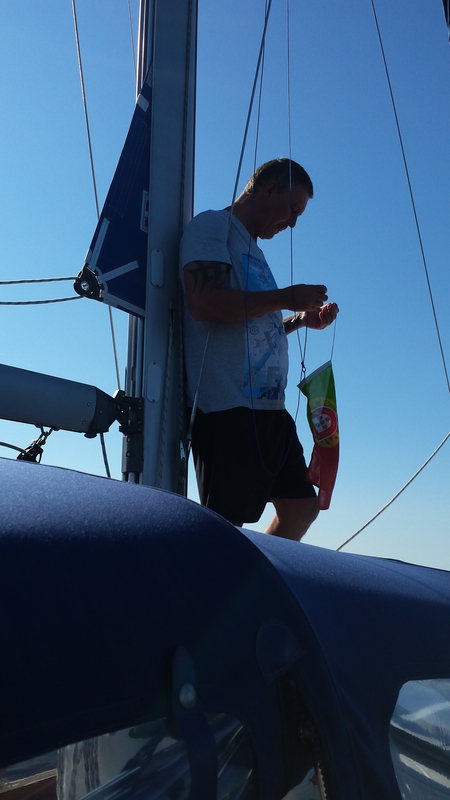 We had an uneventful trip of around 55 miles from Baiona to Povoa de Varzim our first destination on the Atlantic coast of Portugal. 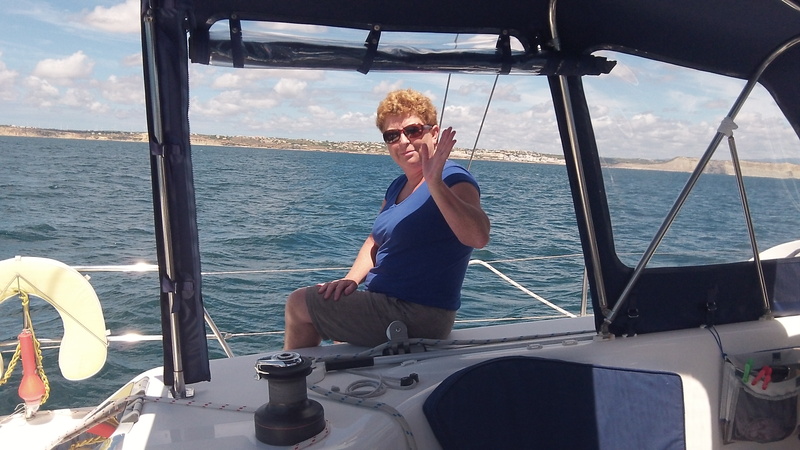 Varzim was an unbelievably cheap marina to stay in…it cost us the paltry sum of 89eu to stay for a whole week. We didn’t actually plan on staying that long but we had some very strong winds during the week which made staying put the prudent choice. 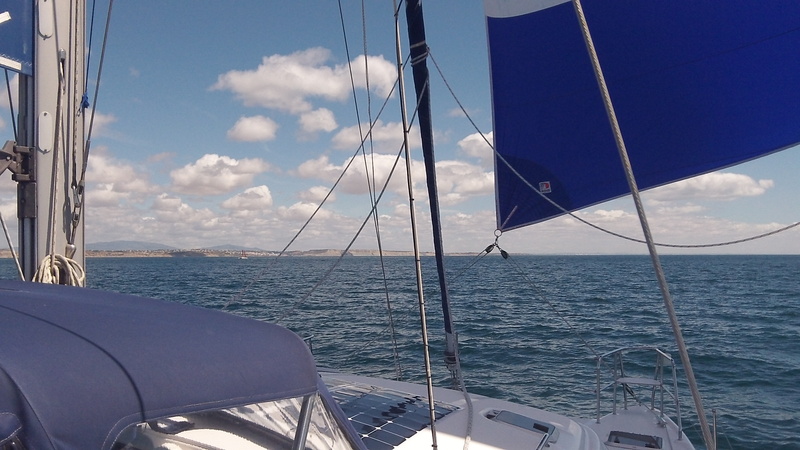 At one point we logged 43kts and had the embarrassment of having to go fishing in the marina water when one particularly strong gust took two of our cockpit cushions straight out of the back of the boat for a swim…its a good job they float !! Whilst we were there it also coincided with Fiesta week to remember a saint of lost souls at sea. This involved processions through the streets. 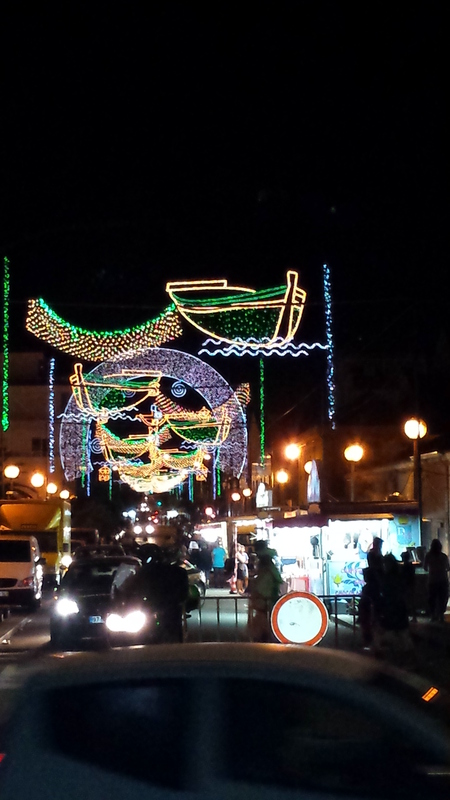 Many stalls selling food and daily fireworks . 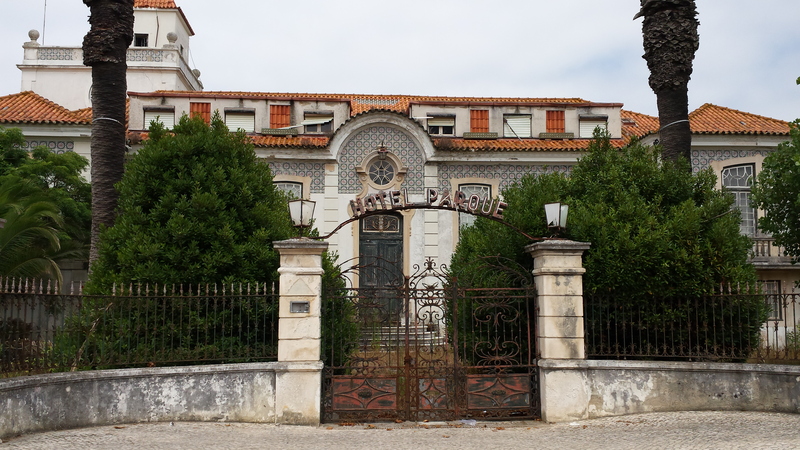 Varzim is a very large place with the Northern side of town where all the tourist beaches are located and the Southern part (de Conde) the old part. 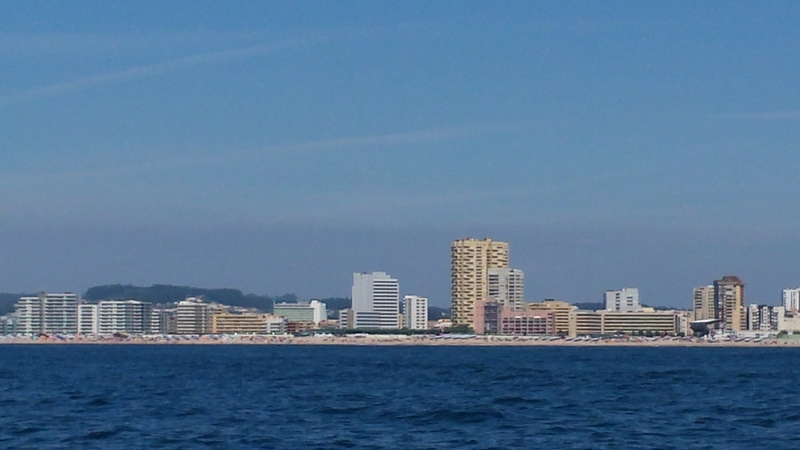 In the center is a huge Casino complex and we enjoyed a great couple of nights in there…not least because they did a fantastic buffet….starters, mains, sweets, cheese and coffee and a glass of wine all for the princely sum of 12eu….we went twice!!! It didnt take us long to find one of the many great Lidl supermarkets to stock up on supplies, Oh and one just happened to be next door to McDonalds !! 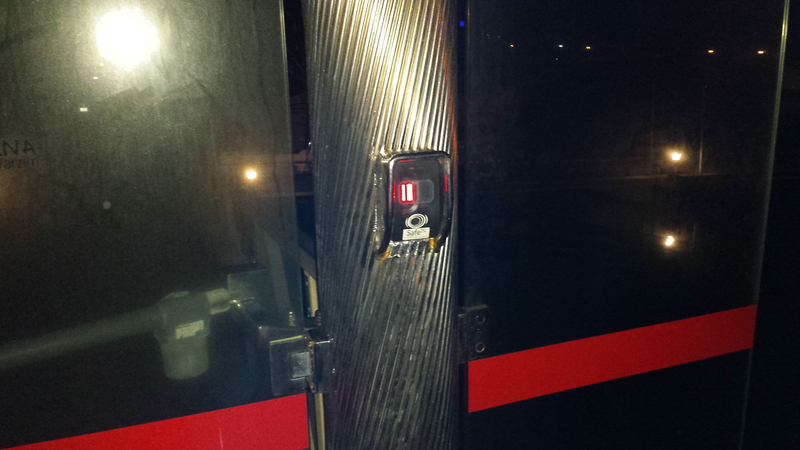 Entry in to the marina and on to the pontoons was by biometric fingerprint recongnition….i thought i had left this all behind after leaving work !!! 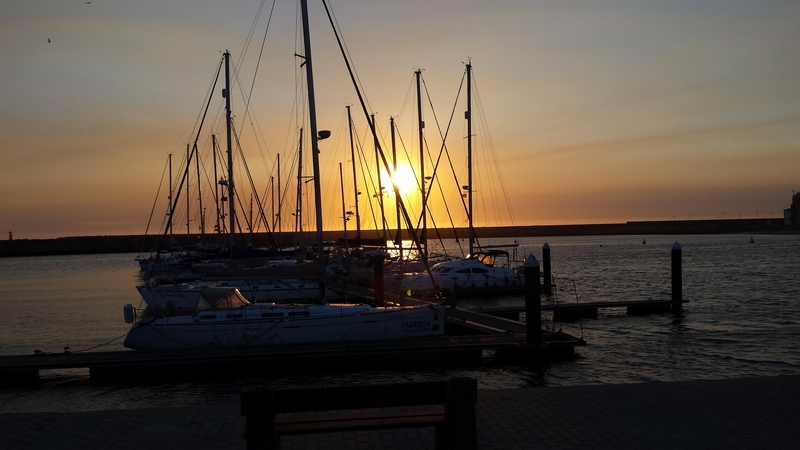 At the end of the week we set off again and headed for an overnight stop at Aviero before an early start (it was only just light) next morning, destination Sao Martinho. This is a small bay with a very tight entrance which should not be attempted in anything but calm weather. It is also a major holiday spot. Walking around it was very obvious on hearing the many American and English accents that it is an international holiday destination. we had to go ashore here and report to the Maritima Police office with our boats papers. We were also issued with our ‘LightDues’ license…this cost 2eu but if found without one if stopped by the Maritima Police at sea can result in a large fine. 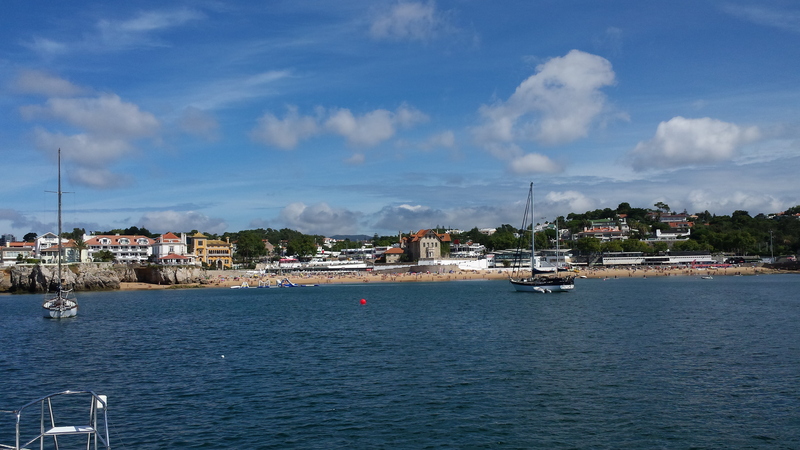 It was ashore here that we found a waterside ice cream parlor which served up some fantastic ice cream and fruit creations…again at reasonable cost. 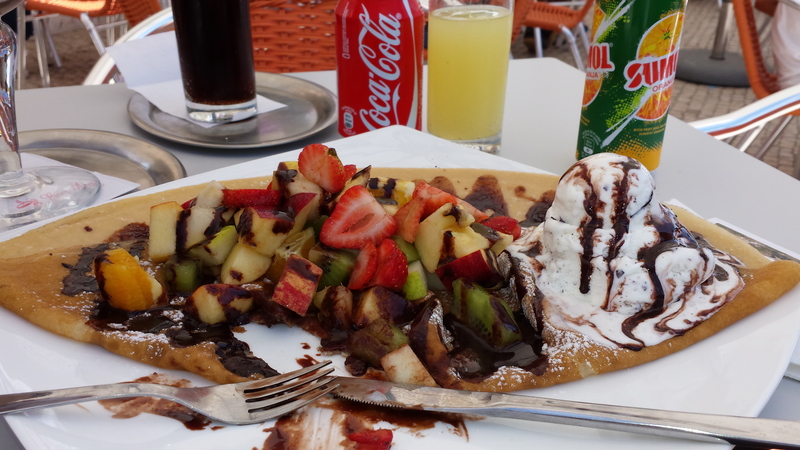 Some of them were works of art and it took me at least ten minutes to decide which one to have from the menu…they all looked great. Sao Martinho is a place that like i said is difficult to enter but it can be even harder to get out of…if there is any kind of swell coming in to the narrow entrance it can produce some quite large waves which would be a nightmare to try and bash through…you just have to sit tight and wait for calm conditions to allow you to get out. 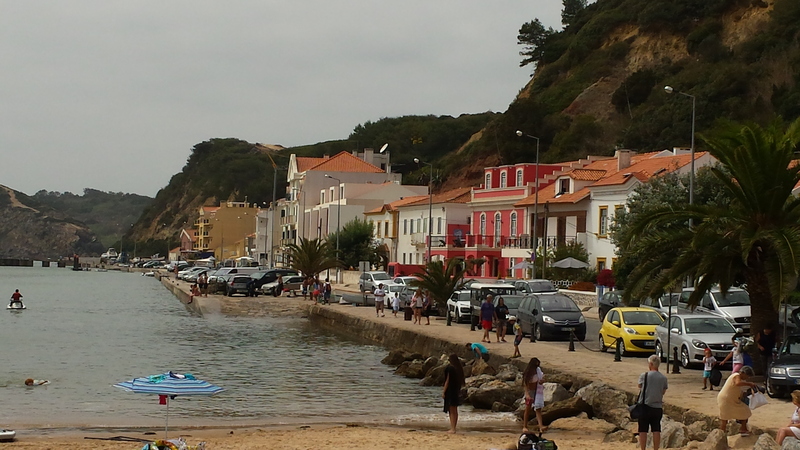 We enjoyed our stay here even though a couple of days it was quite cloudy. We took advantage of the cooler weather to climb up some of the surrounding cliffs to take some pictures. Walking around the town we stumbled across an old hotel which was obviously quite grand in its day but had been left to fall in to ruin. If you have ever watched the film ‘Best exotic Marigold Hotel’ it reminded me of that. 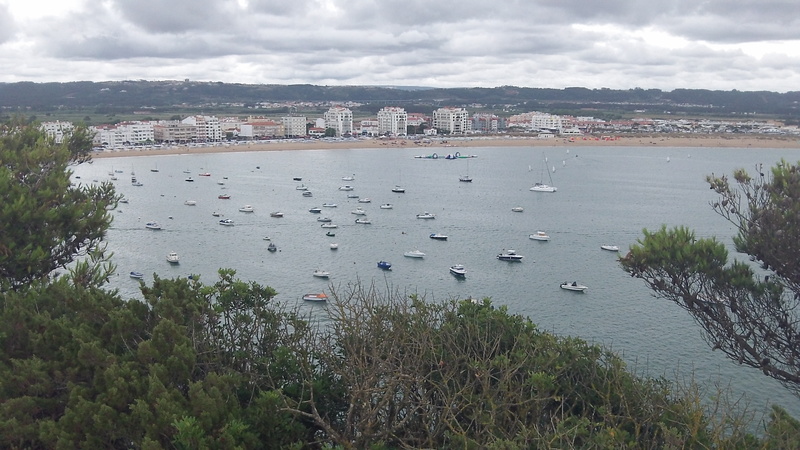 After 4 days we departed for another fairly long hop (60miles) to the mouth of the Rio Tejo estuary…this is the river that leads up to Lisbon. 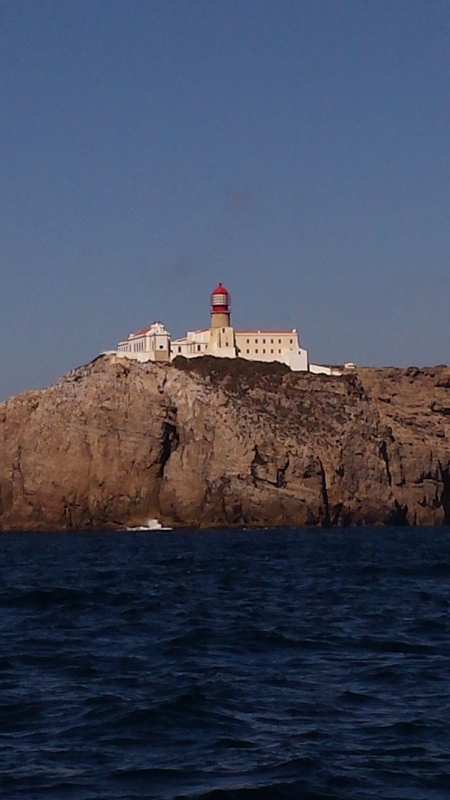 We dropped anchor in the bay opposite the beaches of Cascais. 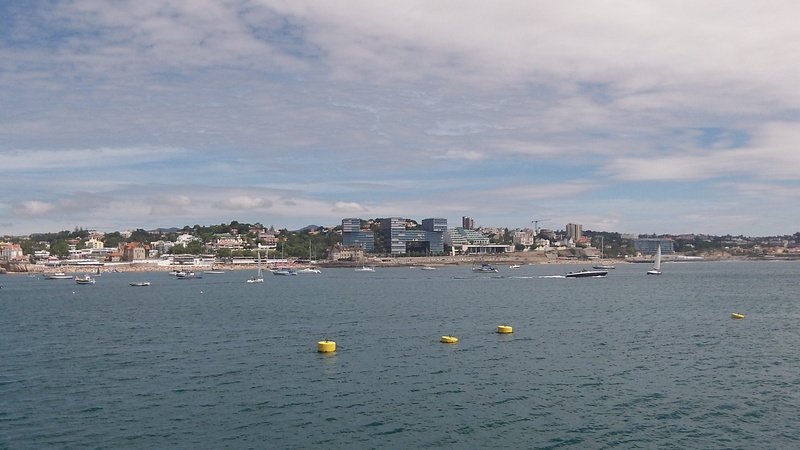 The marina here is very expensive and as a result the anchorage in the bay can become very crowded. Fortunately when we arrived it was not too bad but as i sit writing this it does start to fill up. 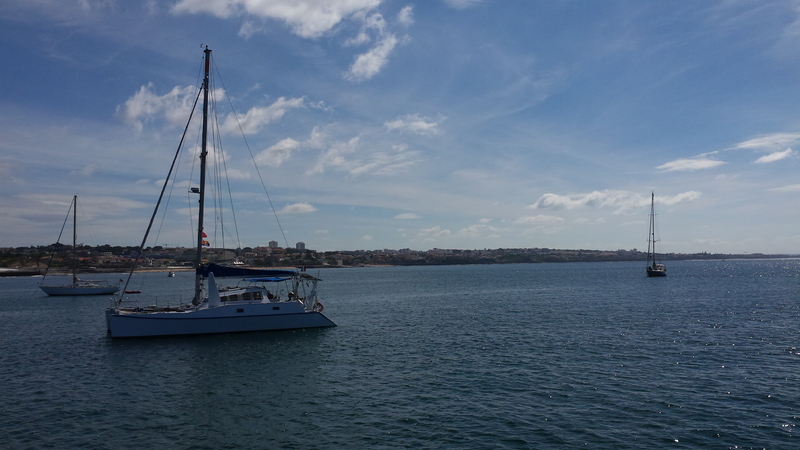 There are currently 4 other catamarans around us alone. 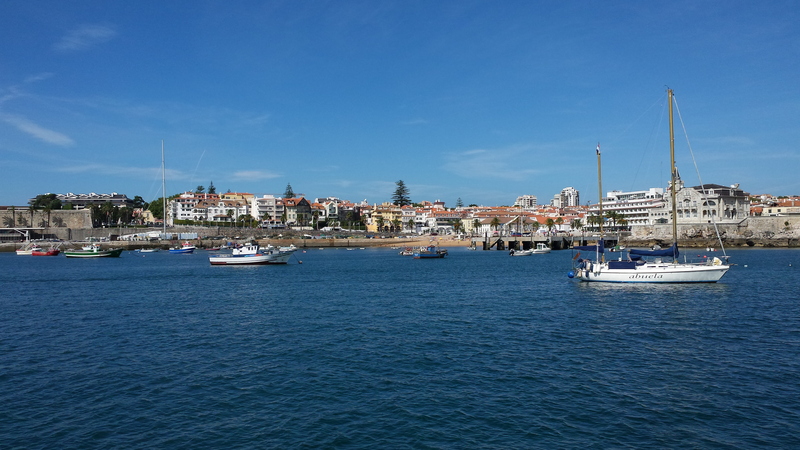 Ended up staying 8 nights at Cascais…. i loved the place. It is one of those places that has everything you could need and could be very difficult to leave. The anchorage was very secure (more of that in a minute). As usual Junes priorities are to find a water supply and a good supermarket. The supermarket was easy as we could see the large JUMBO from where we were anchored. As for water we found a supply on the fisherman’s quay and June even made a couple of new friends chatting to some local fishermen who spoke excellent English. We were delighted to find that there was not one but 3 Indian restaurants in the main street. We had a superb meal in one which was so good we went back 3 days later for another. Coming from Evesham which has the Balti triangle of Worcestershire the quality was easily on a par with the best of them. Also after the lack of English football shown in Northern Spain it was good for me to find a few bars showing Sky football, not that June was that happy about it! 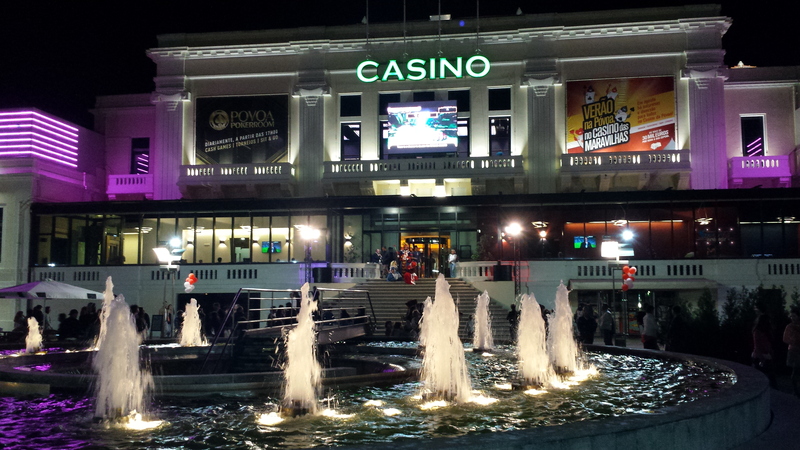 We also had a great couple of nights at Estoril Casino which is a 30 min walk along the coast. The 15eu buffet was amazing…superb food and a bottle of wine all for just over £10 each. On the day before we left another English boat was attempting to leave and we lay on our fore deck sunbathing watching them. as they pulled up their anchor a huge ball of rubbish, nets, rope et all came up with it. This panicked them into trying to get it off by going forwards and backwards to wash it off. The unfortunate result of this was that all the nets and ropes proceded to get wrapped around their propeller and they came to a grinding halt. Cue Superman to the rescue. I went over in the dinghy and spent an hour diving down with a bread knife to cut all the crap away. It was mega hard work and made me realize i am not as fit as i thought. I still have sore arms a week later. The owners did show their appreciation though with a bottle of wine. 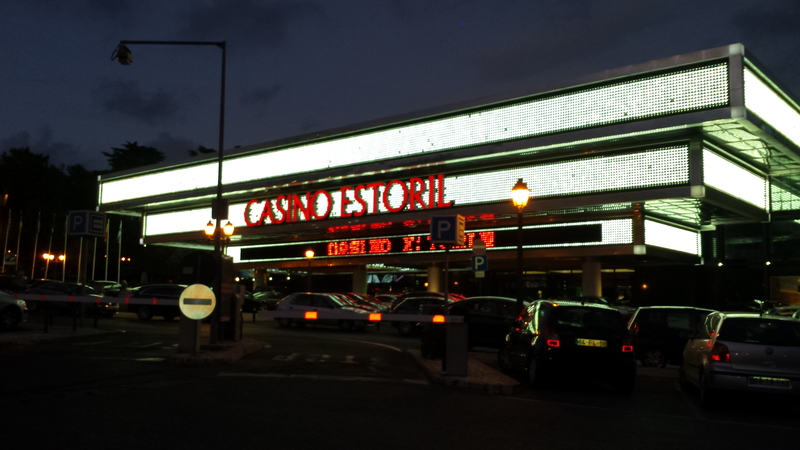 Cascais, Estoril Casino…we had a fantastic buffet here…the food was brilliant. 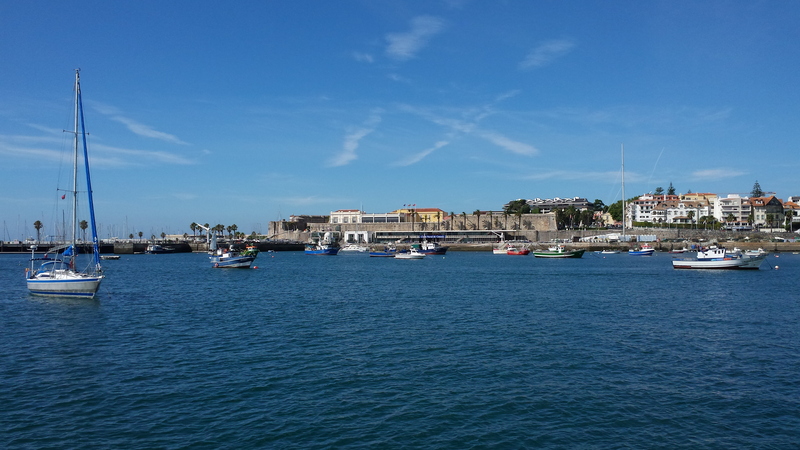 From Cascais it was then time for the final leg of our 2015 journey 62 miles down the coast and around the corner to officially declare ourselves in the ‘Algarve’. 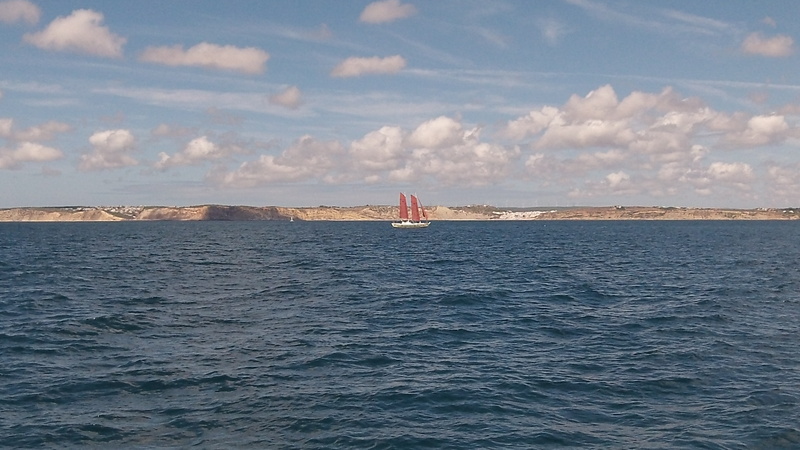 We dropped anchor for the night in the first bay at Sagres and met up with friends Neil & Gail aboard Gleda. It was nice to go over and have a few beers whilst catching up on what we had been doing over the past few weeks. 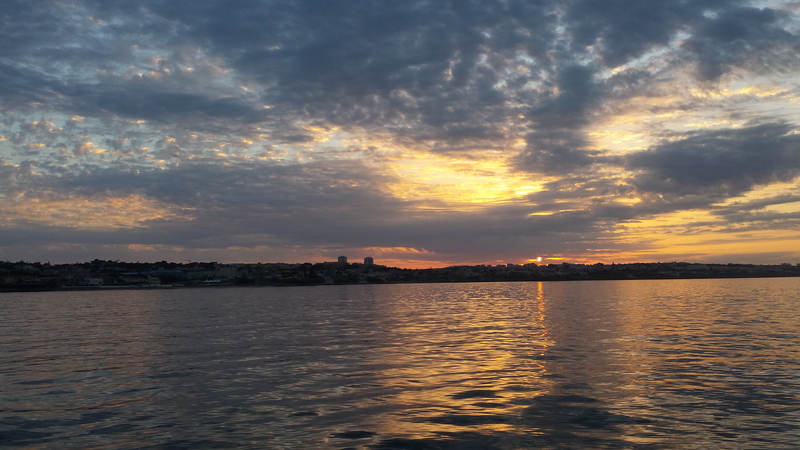 Another beautiful sunrise en route to the Algarve. 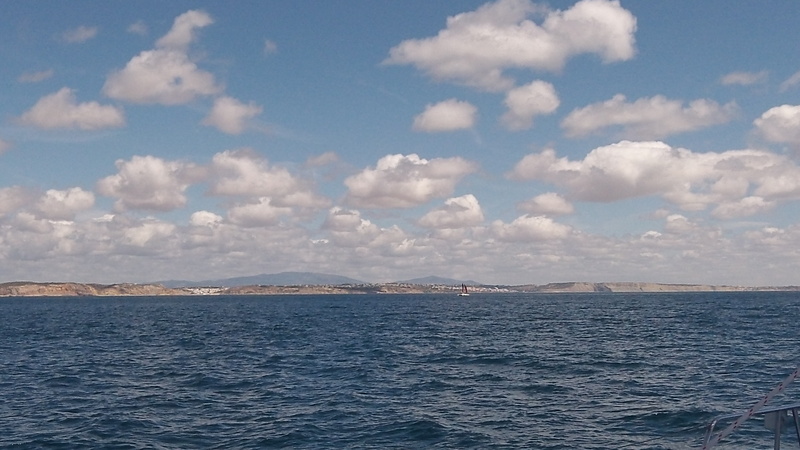 Following day we set off on the short (15 ish) miles to Lagos and Alvor bay. 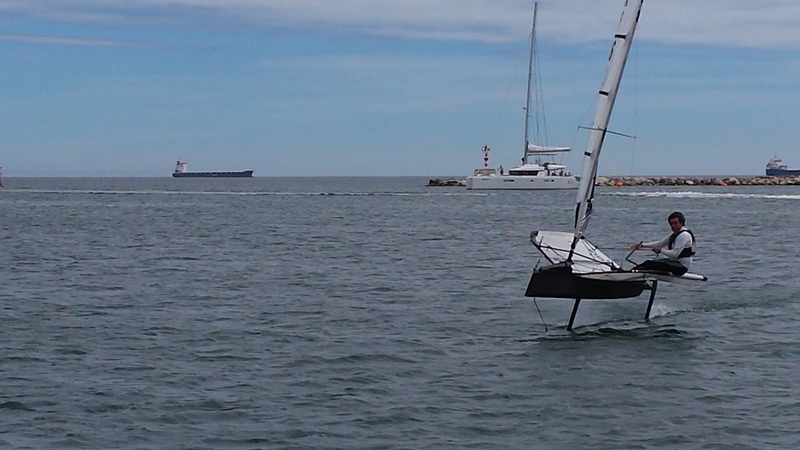 This turned in to a great sail all the way with the cruising chute pulling us along. We stopped off briefly in Lagos to put some diesel in the tanks which gave us a brief glimpse as to what our winter (oct 15 to may 2016) home is like. 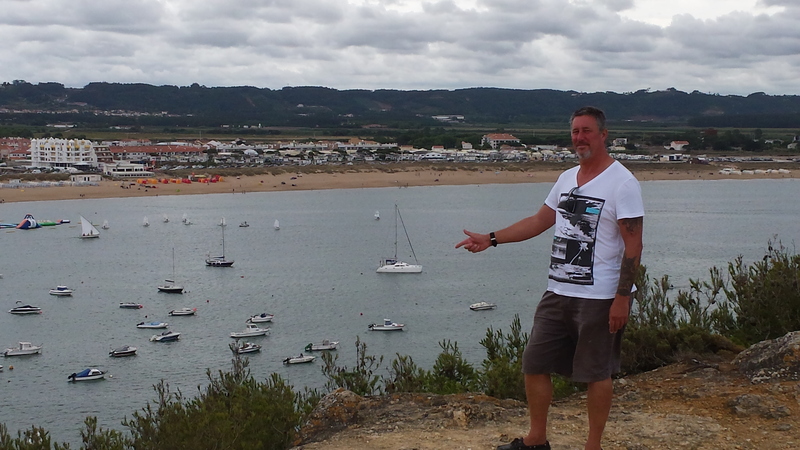 From Lagos it was only a short 2 miles to our present spot Alvor Bay. A lovly spot which we are going to enjoy for the next week or so. ← July 2015… welcome visit from the kids. 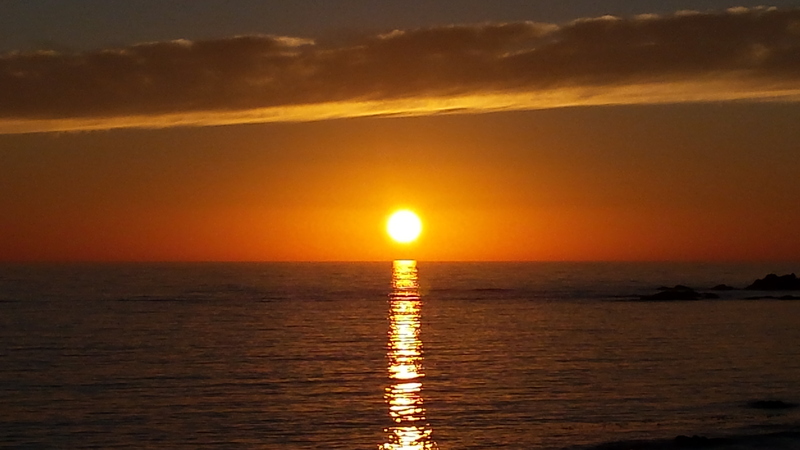 We love these blogs – its really great to hear about your adventures! I share them with all the office so we all know what you’re up too and your whereabouts! We are all very envious as the places you visit look beautiful and the scenery stunning; it looks like you are both having great fun!! Nice to see the pictures and read your blog. Looking forward to seeing more. keep up the good work m8.